A heart-shaped box of chocolate, a dozen red roses and a nice dinner out are all great ways to celebrate Valentine's Day 2019 in Pittsburgh but how about something a little different this year? Maybe a romantic river cruise on the Gateway Clipper or a couples cocktail night with Wigle Whiskey? How about a Valentine's Day ice cream road trip to the top ice cream parlors in the Pittsburgh area! 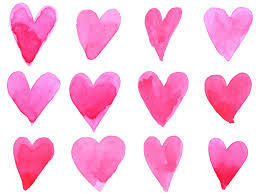 Check out these featured Pittsburgh St. Valentine's Day Events and share some Pittsburgh love! Take your Valentine on a skate date at North or South Park this Valentine's Day! Buy one ice rink admission and get a second ice rink admission of equal or lesser value for free. Visit the candlelit Wigle Whiskey Tasting Room & Bottle Shop in downtown Pittsburgh with your Valentine and enjoy a whiskey and Edward Marc Chocolatier chocolate pairing flight for only $20 a person! Celebrate Valentine's Day in Pittsburgh on the river with a very special Valentine's Day cruise aboard the Gateway Clipper. Take in the awesome Pittsburgh skyline while sipping on champagne with your date. Celebrate Valentine's Day at the New Hazlett with one of Pittsburgh greatest cover bands - Johnny Angel and the Halos. Take your sweetheart on a sweet ice cream tour of Pittsburgh. From Klavon's to Sarris Candies... its ALL GOOD! For more Pittsburgh events visit pittsburgh.net.